Set up your Omelets made to order by getting all your add ins ready. Using a small frying pan, spray with cooking spray and heat on medium heat. In a small bowl, crack 2 eggs and beat. Sprinkle with salt and pepper. Pour eggs into hot pan. Sprinkle top of your eggs with your add ins. Let eggs set until edges can be lifted. Lift edges all around your pan. Scoop spatula underneath omelet and flip. Allow to cook on this side several minutes. Serve. 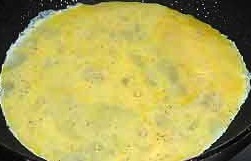 In preparing an egg white omelet separate the egg white and egg yolk and discard the egg yolks. This version is lower in cholesterol. It is usually prepared with 2-3 egg whites beaten with a 1 teaspoon-1 tablespoon water. Season with salt and pepper and prepare as you would normally. 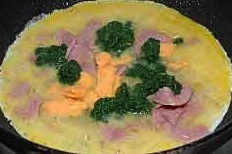 A western omelet includes chopped green peppers, chopped onions and diced ham as your omelet add ins. It is also known as a Denver Omelet. 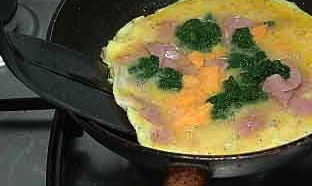 To make a cheese omelet leave out ham, meat and vegetables. You can use any type of cheese you like or try two or three different types of cheese. Beat your eggs in a bowl and add to hot pan. Sprinkle with cheese and salt and pepper. Let set until edges can be lifted up. Lift edges all around your omelet. Dig spatula underneath the omelet and flip. When eggs set on both sides your omelet is done. An easy way to cook omelets is in a ziploc bag. 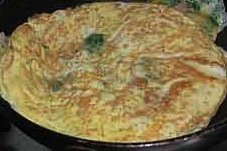 Check out the baggie omelet recipe. 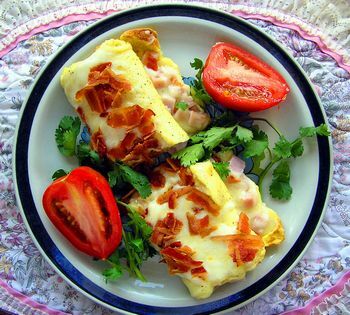 This is a great way to do one large omelet that will feed everyone. 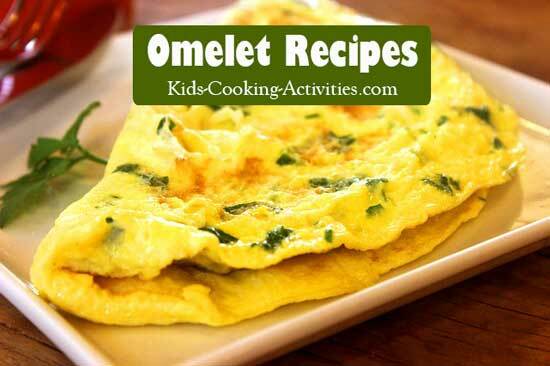 A quicker version than making individual omelets. In large bowl, mix all ingredients together. Pour into a greased pie plate. Bake at 350 degrees for 25-30 minutes until light brown. 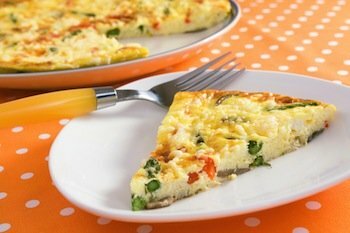 Share your Favorite Omelet Recipe!